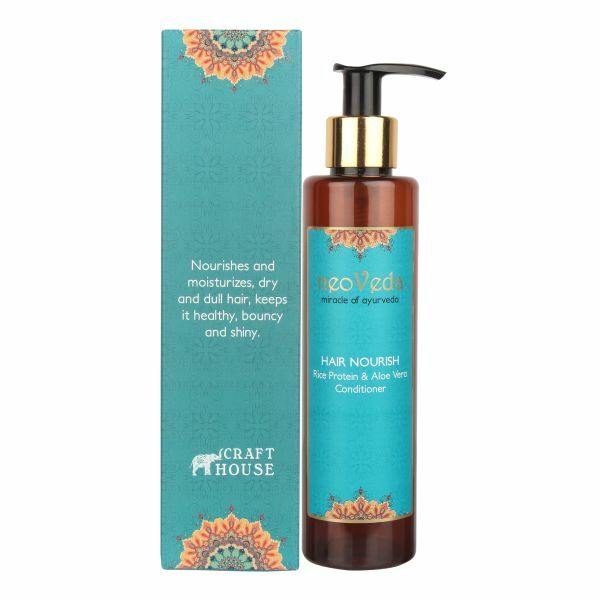 Nourishes and moisturizes, dry and dull hair, keeps it healthy, bouncy and shiny. Dispatched in approximately 7 Working Days. To save on shipping charges buy multiple products. 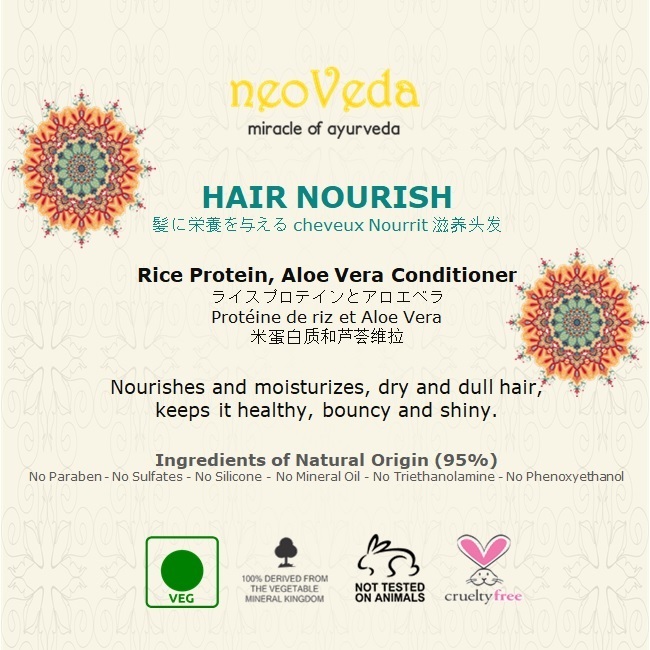 ● Nourishes and moisturizes, dry and dull hair, keeps it healthy, bouncy and shiny. ● Gives silky shine to hair. 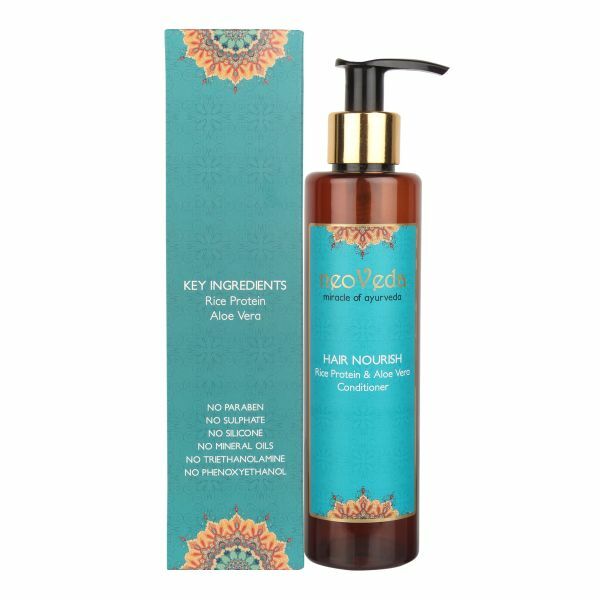 Helps to nourish and condition hair strands. 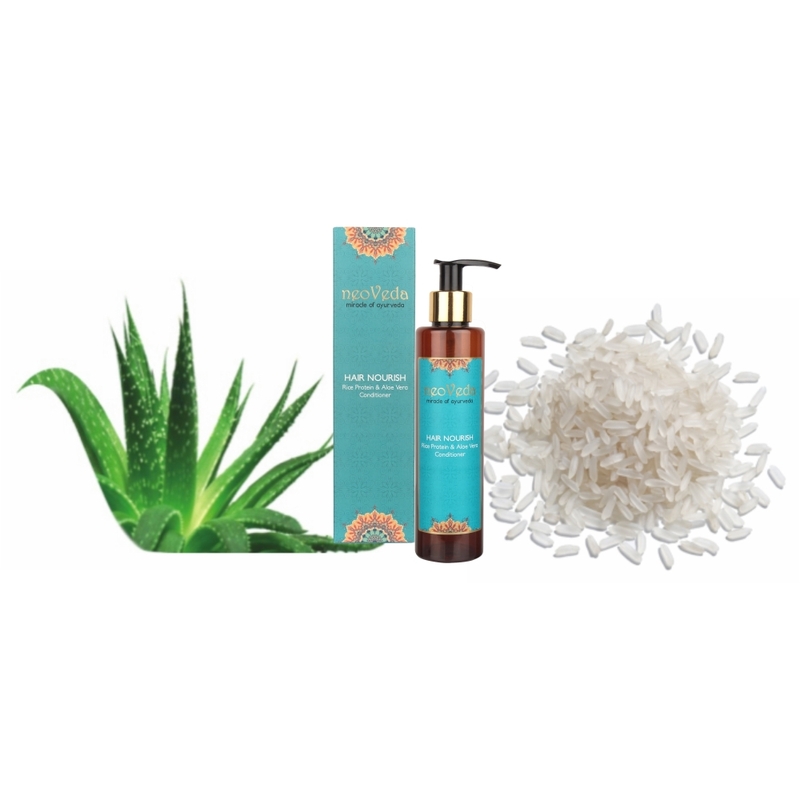 ● Healthier looking, smoother hair, it also has the goodness of Aloe Vera that nourishes and conditions the scalp and hair deeply. Aqua*, Cetostearyl Alcohol*, Cocos Nucifera (Coconut) Oil*, Cetrimide, Isoamyl Laurate*, Ceteareth 20 and Cetostearyl Alcohol, Propylene Glycol, Sodium Benzoate, Panthenol, Benzyl Alcohol, Fragrance, Citric Acid, Chlorphenesin, Prunus Amygdalus Dulcis (Sweet Almond) Oil*, Hydrolyzed Rice Protein*, Aloe Barbadensis Leaf Juice* & Sodium Gluconate*. neoVeda is certified from PETA for all products without cruelty on animals. People for the Ethical Treatment of Animals(PETA) is the largest animal rights organization in the world. After shampooing, squeeze out excess water and apply right amount of conditioner on mid and end of hair, not on roots. Rinse it out thoroughly after 3 to 4 minutes. Not for medical use. For external use only. Store tightly capped in original container in a cool and dark place. Exposure to sunlight and air will damage the product. This product is not intended to diagnose, treat, cure, or prevent any disease. 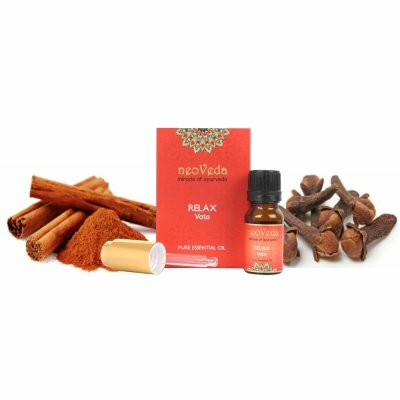 Neoveda is the modern day adaptation of Ayurveda (Ancient knowledge of life and well being) and is a natural way to rejuvenate and relax both body and mind. 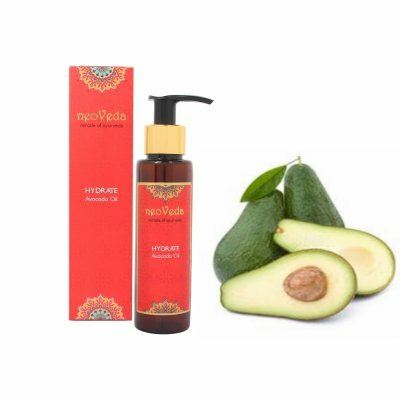 Neoveda products are designed to balance 3 Bio Energies known as Vata, Pitta & Kapha in Ayurveda. 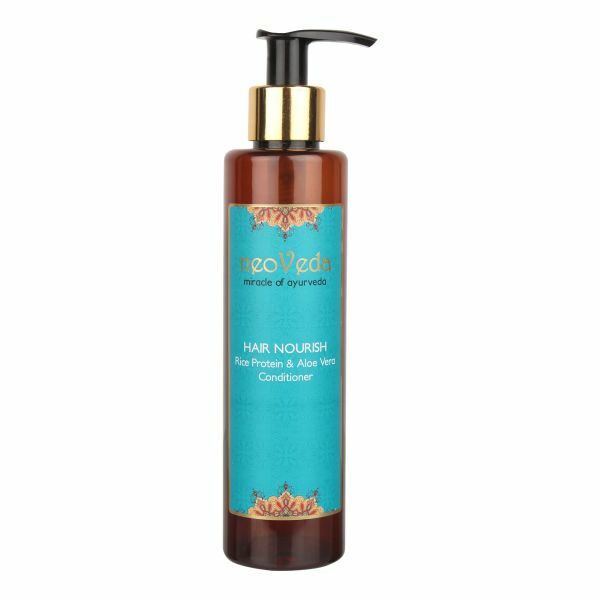 The unique combination of Essential Oils and Plants Extracts keep skin and hair beautifully healthy and keeps mind relaxed.